Hiya guys! How's it going today? I just realized that although I have been super excited about Halloween I don't actually have plans. I'll probably end up going to Six Flags for the 'stand in line for hours' ride lol. Seriously even going to the movies would be better than visiting the park that day. While I try and come up with something to do, I'll share some more nail art! Win-win, right? Well it's not very good nail art, but hey nail fails deserve some love too I think. Bat stamping plus pond technique... well you guys will have to be the judge. In all seriousness though this truly is border-line nail fail territory, but I'm somehow still in deep like with it. The stamping and the pond effect didn't work well together, especially with the switching of the two colors. I mean is it me or does this look like camouflage print? 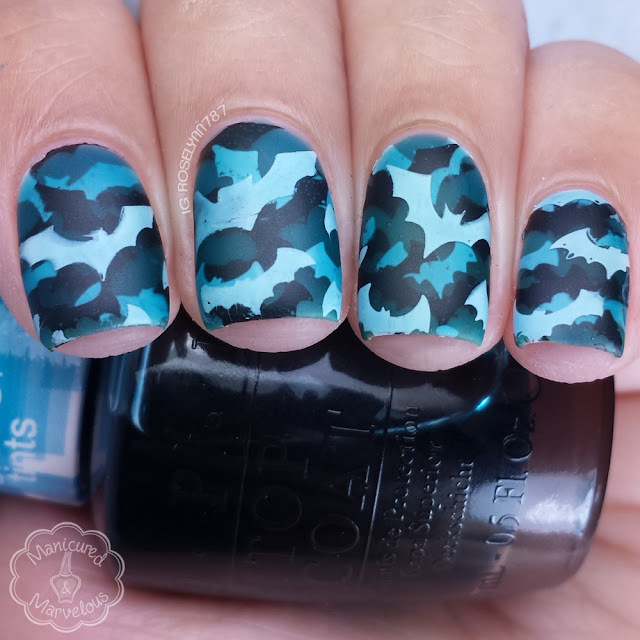 Hmm camo-bat?! Haha. The main polish for this mani is called I Can Teal You Like Me from OPI. (By the way, if you never picked up the Sheer Tints four-set they are now available at T.J. Maxx for like $3.99.) Then I used a black stamping polish from Nail Hoot and a white one from Rica Polish. The stamping plate is from Winstonia and it's the Haunted House plate. The pond mani technique is sweet and simple, though it can have a tedious dry time. First you put on one layer of a sheer polish, wait to dry, and then stamp the image across your nail. Once that is dry, put on another layer of the sheer polish and after some dry time stamp the image (in this case with another color) again across the nail. Make sure each time you stamp the image it is not aligning at all. Now repeat this process three to four times. Yeah... that's a lot of freaking layers! It took about an hour to dry or at least for me to feel comfortable with it. The last thing I wanted was this thing to smear everywhere right before bed haha. Wake up with my pond mani on the side of my face, bats and all haha. And, of course, I had to take out the matte topcoat to see how it would look! Ehh... 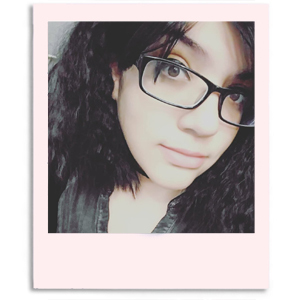 I think this one time I'm going to have to stick with the glossy version. I do plan on having a tutorial for a pond mani on YouTube, though not this particular design. Unless you guys really want camo-bats! Spoiler alert... I don't think anyone will want it, ha. See I think this looks so cool! Especailly matte. It's kind of trippy which is perfect for Halloween! Thank you! I think I was just disappointed it didn't come out like I envisioned it would. this is amazing and I need them sheers! Thanks. Definitely check TJ Maxx or Marshalls, maybe Home Goods. I think all three are basically the same store and carry the same stuff. Oooh, I like both matte and glossy versions! This turned out so cool. It reminds me of one of the Batman video games- maybe Arkham Asylum? 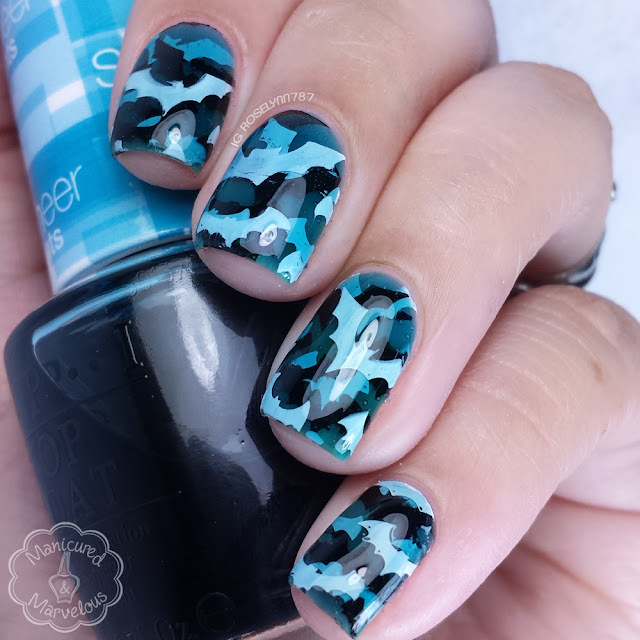 Love love looooooove the bat jelly stampwich!! Gorgeous!! This is not borderline nail fail by any means! I love both the glossy and matte versions. I really like the glossy version- the matte version looks so shallow and flat! Not a nail fail at all! I think this looks rather cool! You think this is a fail?! It is AWESOMEEEE! It does look best glossy though, more depth. I love the glossy version, it was love at first sight when I saw it on Facebook, I can't really understand how you see it as a fail or almost one! It's really stunning! This is so wonderful!! The matte is my favorite. But I'm always partial to matted nails. OMG OMG OMG this is freaking amazing. Saving it to my ideas folder NOW! 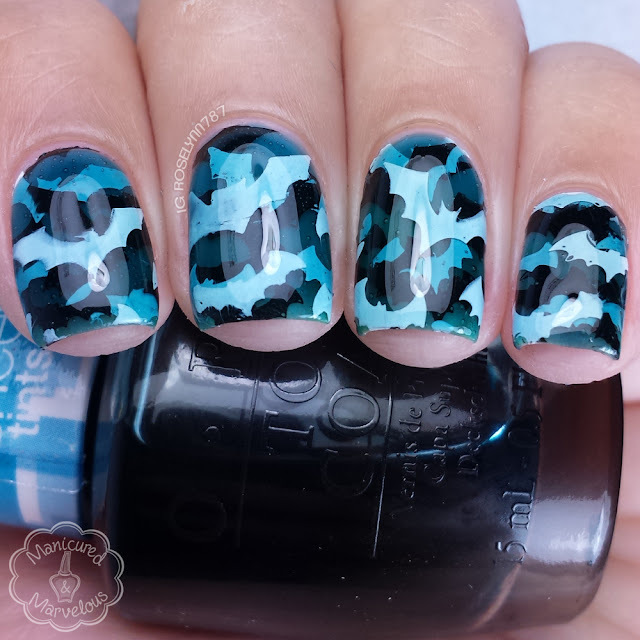 I've never been intrigued by someone's nails til I saw this! Totally cool for Halloween! 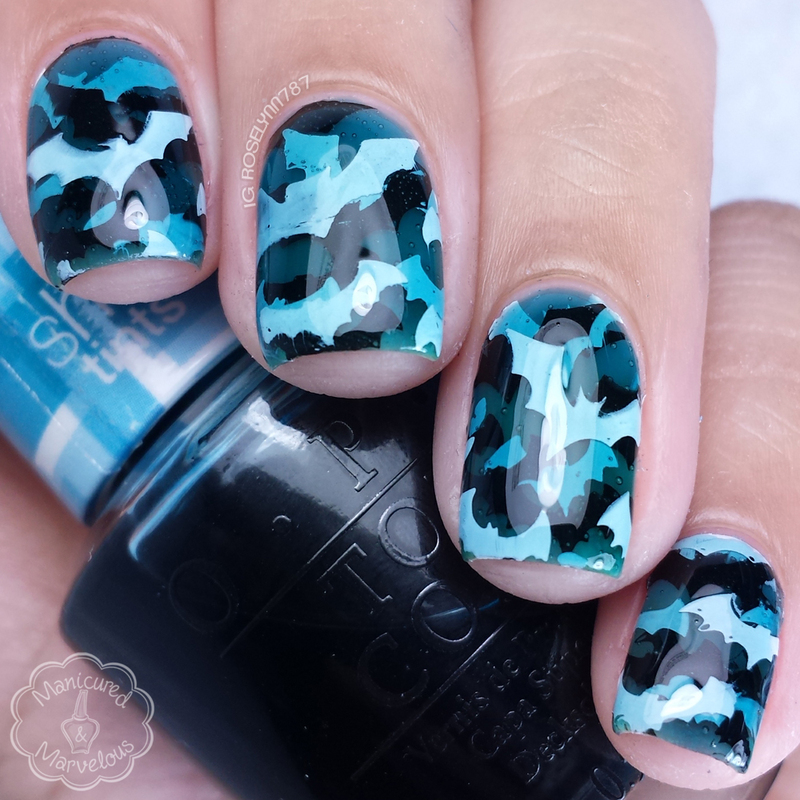 These complex pond manis slay me! These look awesome!! The layered bats look so cool!